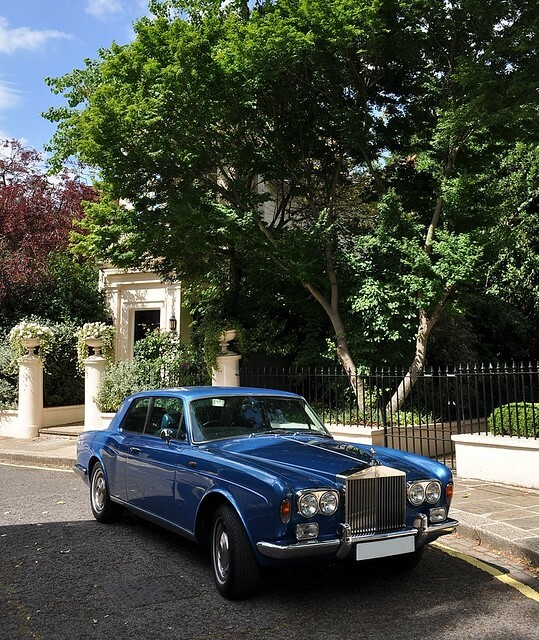 The Rolls-Royce Corniche was launched in March 1971 with the motoring press invited to the Cote D'Azur to drive the coastal roads from which the model takes its name. 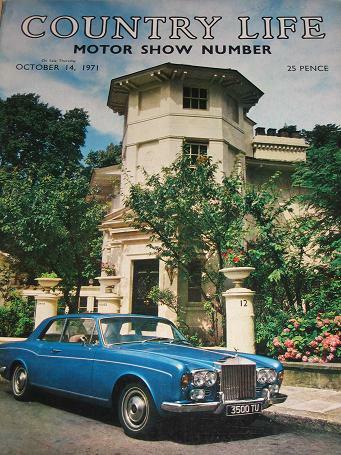 But for much of the British public the first opportunity to see a Corniche up-close would have been at the London Motor Show several months later. So we decided to recreate the photo! 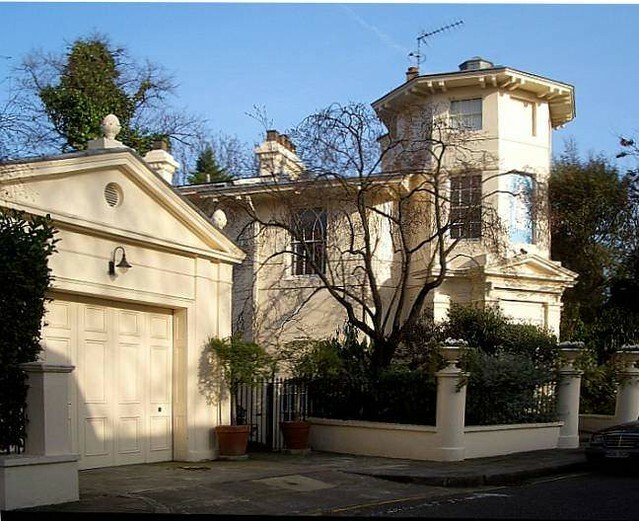 The architecture looks typical to that found around Regents Park, London NW1 and features a distinctive tower. Also, the number 12 is just visible on the gate post. It's 12 Park Village West, Camden NW1 (http://www.victorianweb.org/art/architecture/nash/6.html) by the renowned architect John Nash and dates from the 1830s. Park Village West is actually a very narrow street and current day parking means it wasn't possible to secure exactly the same position. The trees have also grown to hide much of the octagonal tower.